Apple calls their new iPhone X as the future of the smartphone. We bring to you the six reasons to consider before buying your next phone. 1. The all-glass front and back feature the most durable glass ever in a smartphone in silver or space gray, while a highly polished, surgical-grade stainless steel band seamlessly wraps around and reinforces iPhone X. A seven-layer color process allows for precise color hues and opacity on the glass finish, and a reflective optical layer enhances the rich colors, making the design as elegant as it is durable, while maintaining water and dust resistance. 2. The beautiful 5.8-inch Super Retina display2 is the first OLED panel that rises to the standards of iPhone, with stunning colors, true blacks, a million-to-one contrast ratio and wide color support with the best system-wide color management in a smartphone. The HDR display supports Dolby Vision and HDR10, which together make photo and video content look even more amazing. 3. 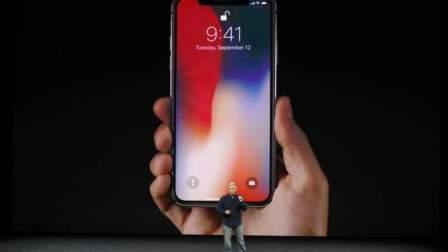 Face ID revolutionizes authentication on iPhone X, using a state-of-the-art TrueDepth camera system made up of a dot projector, infrared camera and flood illuminator, and is powered by A11 Bionic to accurately map and recognize a face. These advanced depth-sensing technologies work together to securely unlock iPhone, enable Apple Pay, gain access to secure apps and many more new features. 4. The new 7-megapixel TrueDepth camera that enables Face ID features wide color capture, auto image stabilization and precise exposure control, and brings Portrait mode to the front camera for stunning selfies with a depth-of-field effect. iPhone X also features a redesigned dual 12-megapixel rear camera system with dual optical image stabilization. 5. The TrueDepth camera brings emoji to life in a fun new way with Animoji. Working with A11 Bionic, the TrueDepth camera captures and analyzes over 50 different facial muscle movements, then animates those expressions in a dozen different Animoji, including a panda, unicorn and robot. 6. The glass back design enables a world-class wireless charging solution. Wireless charging works with the established Qi ecosystem, including two new wireless charging mats from Belkin and mophie, available from apple.com and Apple Stores.